It was after almost 20 years that I was visiting Chamonix again and unlike the last time when it was just a day trip, this time I was to spend a couple of days in this beautiful French Alpine town that is easily accessible from Switzerland, Italy and France. 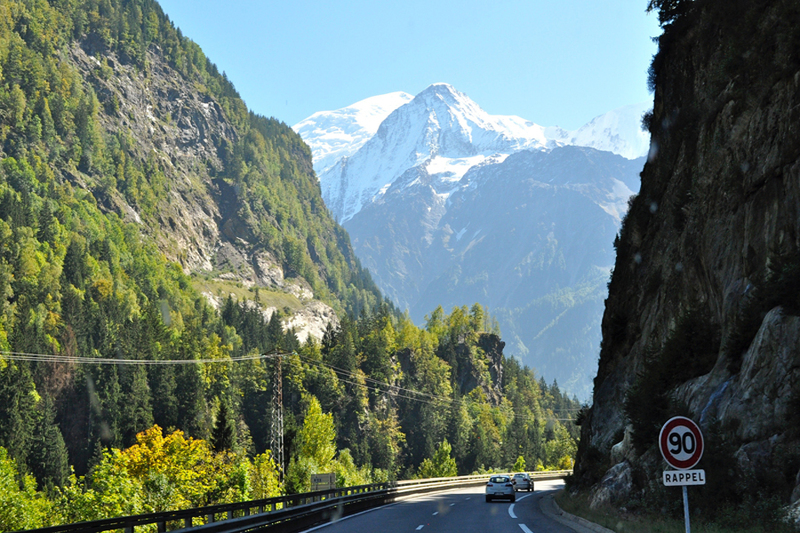 A one hour drive from Geneva and you are in Chamonix. From the Fashion Capital of Italy – Milan, you can be in this beautiful French Alpine town in 2 hrs 30 minutes and from the gastronomic capital of France – Lyon, Chamonix is 2hrs 15 minutes away. 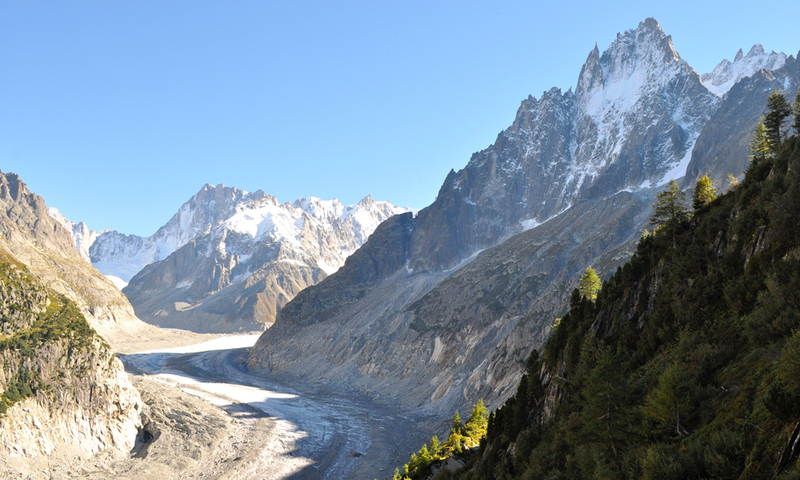 Located in the region of Rhone Alpes, Chamonix is truly an adventure paradise and I discovered that in the next couple of days that I would be spending in this beautiful town that has a population of just over 10000 inhabitants. 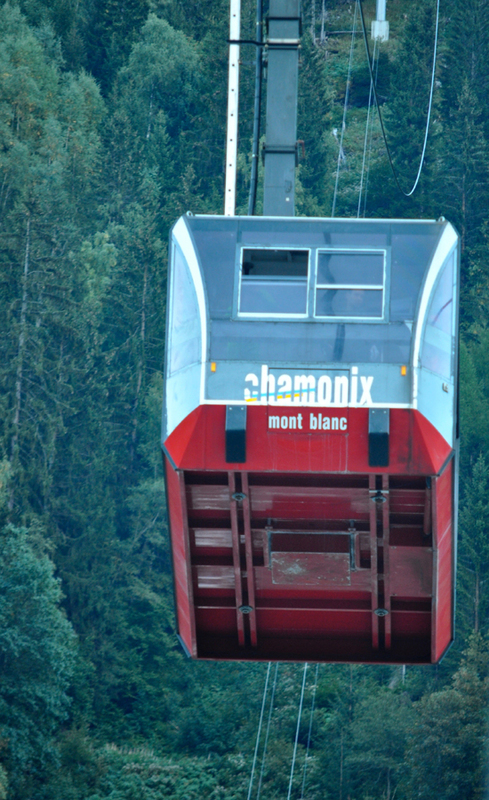 Chamonix belongs to the Haute-Savoie commune of the Rhone Alpes and was the site of the First Winter Olympics in 1924. 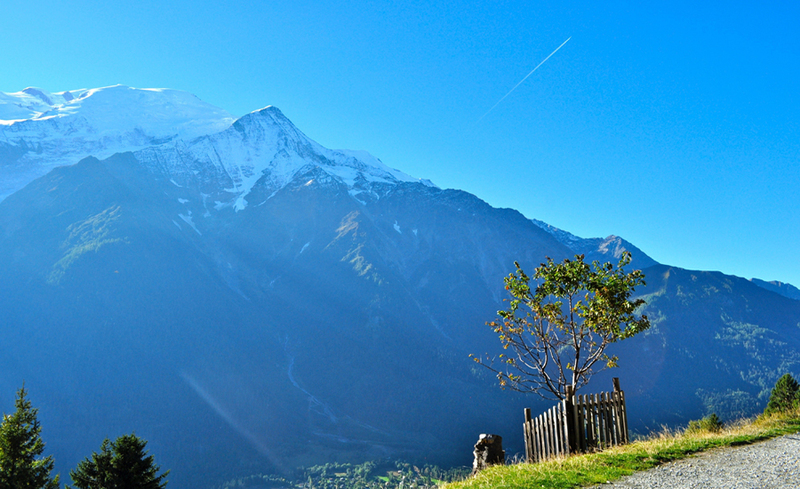 Known as the “gateway to the European cascades”, the majestic Mont Blanc, the highest European mountain west of Russia, it holds a special allure for mountain climbers, mountain bikers, adventure enthusiasts who wants to experience outdoor activities ranging from ice climbing, rock climbing, extreme skiing, rafting, paragliding, canyoning, wing suit ﬂying, to name a few. Known as the “death sport capital of the world” as it is the base of a wide range of adventure activity, Chamonix offers a wide range of soft adventure activities too – a helicopter ride, walks and treks in the mountains and exploring the two highlights of this wonderful alpine town – the Aiguille du Midi and the Mer de Glace or the Ice Caves. Known as the mecca of skiing, over 90% of its ski slopes are above 2000 metres and during the ski months that commences in December and continues till the month of May , you can have access to a multi-pass that gives you access to three countries including the world renowned Vallee Blanche – the world’s most famous off-piste glacier descent, part of the Chamonix Mont Blanc Valley ski areas; Courmayeur, Italy and Verbier, Switzerland. Unfortunately, I was there in September where there is no skiing. Yet autumn is the best time to experience a few other interesting adventure activities. 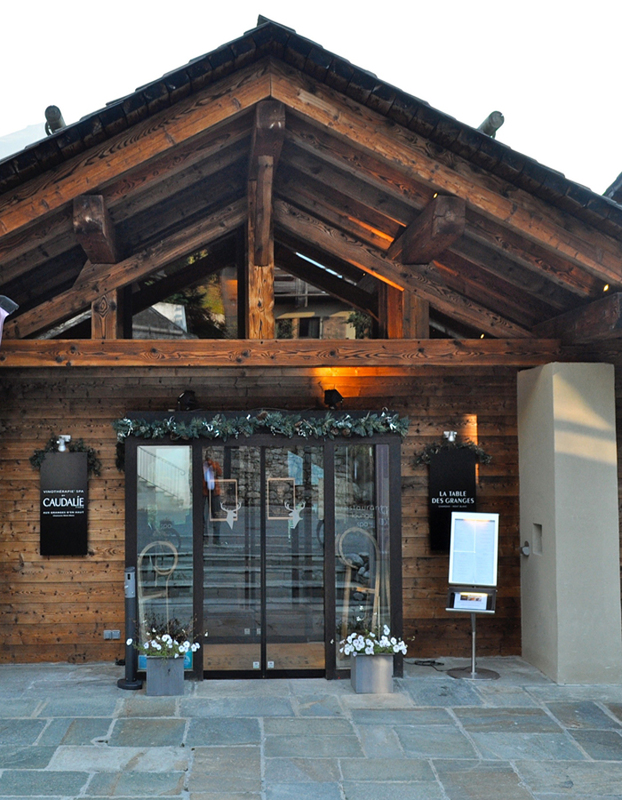 Voilà, I was at the Geneva airport to take the Mountain drop off shuttle to Chamonix and checked in at one of the most beautiful hotels which is located in the heart of Chamonix – the Grand Hotel des Alpes. From the warm welcome with a smile that I received by Katia and her team at the Grand Hotel des Alpes on my arrival, I knew that my choice of ending my Swiss-France trip in Chamonix was the right one. After the super car test drive in Geneva in the morning , I had a relatively packed afternoon and Chloe from Chamonix Tourism Board was there to welcome me to her wonderful city that has grown in popularity amongst the Indian visitors over the years for the varied experiences that this town and its environ has to offer. An ideal laid back place to to be for any visitor who has been to the bustling cities of Europe – be it Paris, Milan or Zurich. Chamonix is an ideal transit point that should be in your holiday plans whether it is a multi-country destination or if you are exploring France or Switzerland or Italy as stand alone destinations.Chamonix is centrally located in the midst of these three extremely popular countries that is on the must visit list of any traveller to Europe.Within a span of less than one hour from Geneva airport , I was in Chamonix. 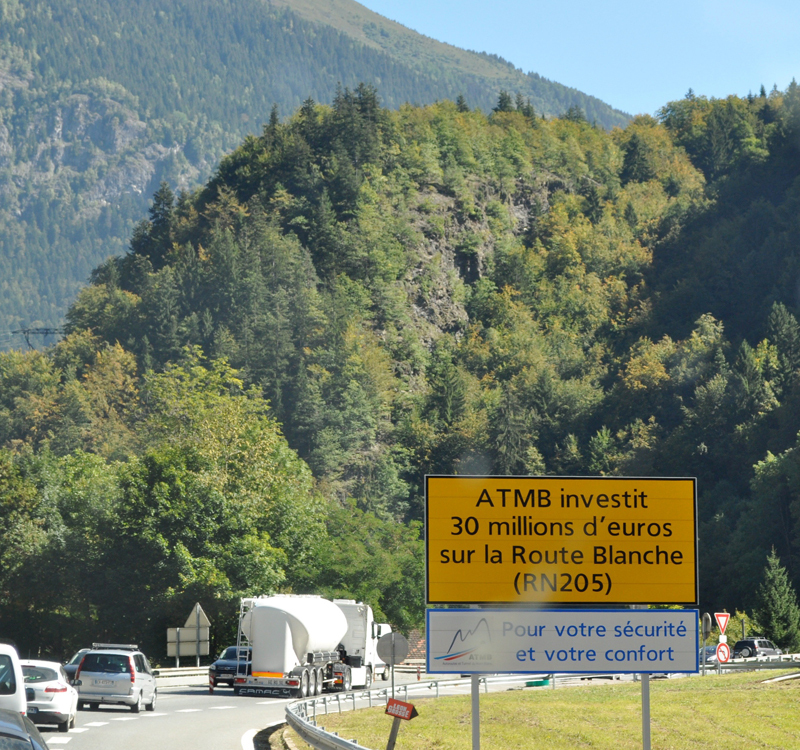 How important is this road which is maintained by ATMB – Autotunnel Mont Blanc is assessed from the fact that ATMB has invested a whopping 30 million Euros for the development of the RouteBlanche.The Route Blanche is an essential axis that serves towns in the Chamonix Valley and is also the preferred route that joins the Aosta Valley in Italy through the Mont Blanc Tunnel and Chamonix. The Route is extremely picturesque and has several bridges and viaducts en route. After checking in , in the Mont Blanc room of the Grand Hotel des Alpes that overlooks the Montblanc range, I made my way to the vintage train Montenvers station that was less than 5 minutes walk from the Hotel. This very scenic train ride of 20 minutes take you to 1913 metres to visit one of Europe’s biggest glaciers – the Mer de Glace which translates as the sea of ice. 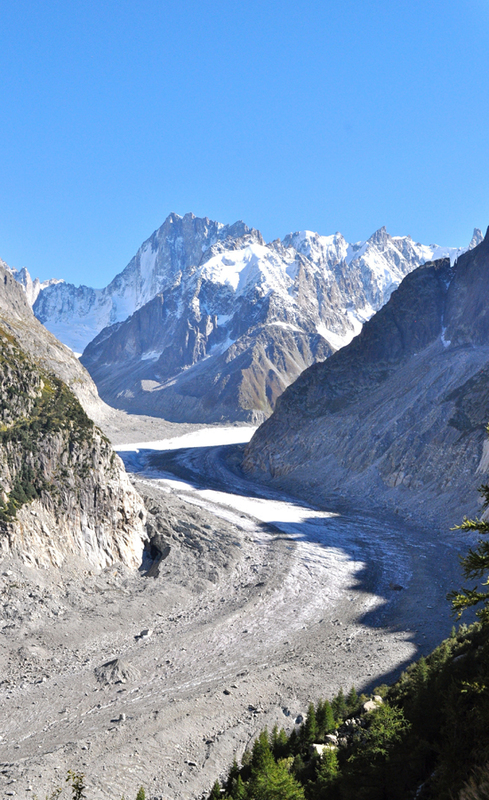 You can easily spend a couple of hours out there as the Mer de Glace view is truly spectacular stretching 35 square kilometres. 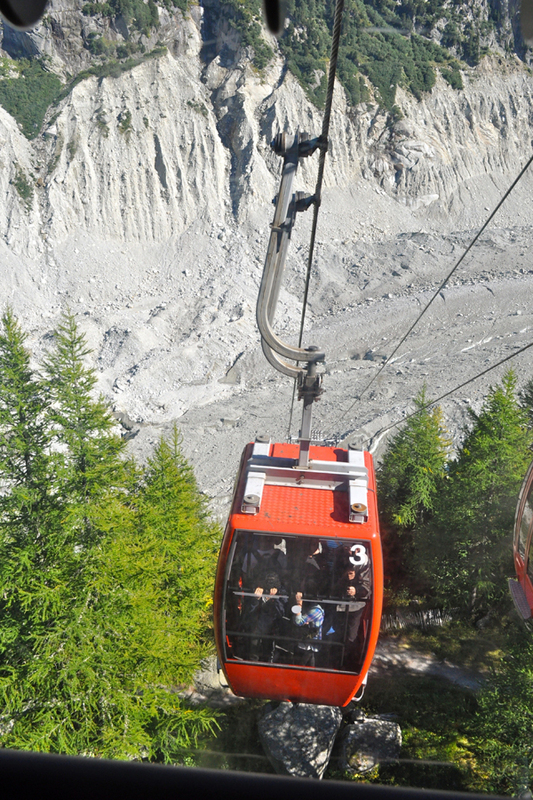 The rack railway that covers a distance of just over 5 kilometres is operated by the Compagnie du Mont-Blanc which also manages the Mont Blanc Tramway and many ski lifts in the Mont Blanc region. To get the best value, it is advisable to buy the Mont Blanc multi-pass as it gives you unlimited access to all lifts in the Chamonix valley. 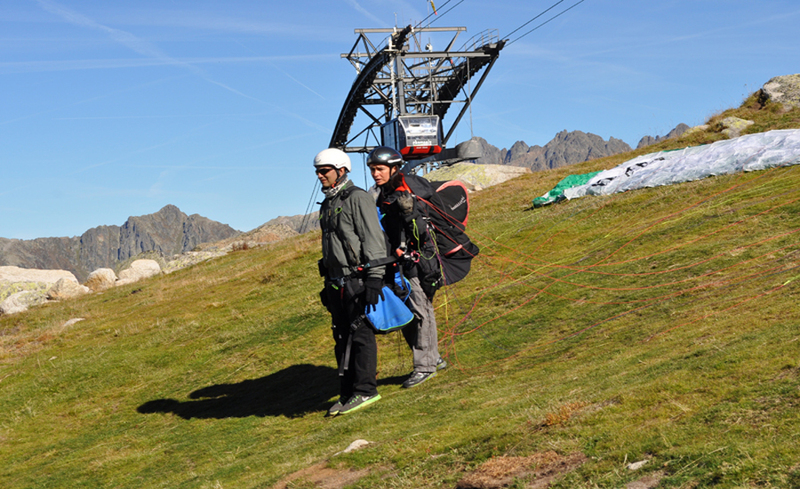 The Multi-Pass gives access toBrévent-Flégère – which is the departure point for walks towards several mountain lakes ; the Grands Montets which is at an altitude of 3275 metres, The Domaine of Balme – which borders Switzerland and an ideal point for mountain biking, the Aiguille du Midi that takes you to an altitude of 3842 metres and offers a 360 degrees panoramic view of the amazing landscape of the area;the Tramway du Mont Blanc for walking tours at an altitude of 2113 metres and the Montvers Mountain train amongst others. glacier is climbing down these steps and to reach to your gondola you have to climb the 350 steps up again. You must also visit the gallery of the rock crystals to admire the unique pieces that have been found in the Mont Blanc Massif. 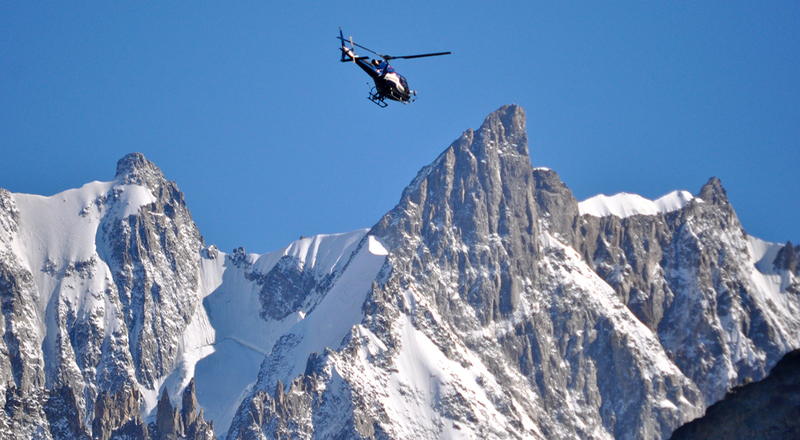 As we were making our way to the gallery, we could hear chopper ﬂying over the Mer de Glace which is another interesting way to explore the Mont Blanc region and the Chamonix Valley. The Grand Hotel du Montvers Museum is where you can discover the history of the site and backpackers can spend a night at Montvers especially if you wish to do some hiking or trekking activities in the area. 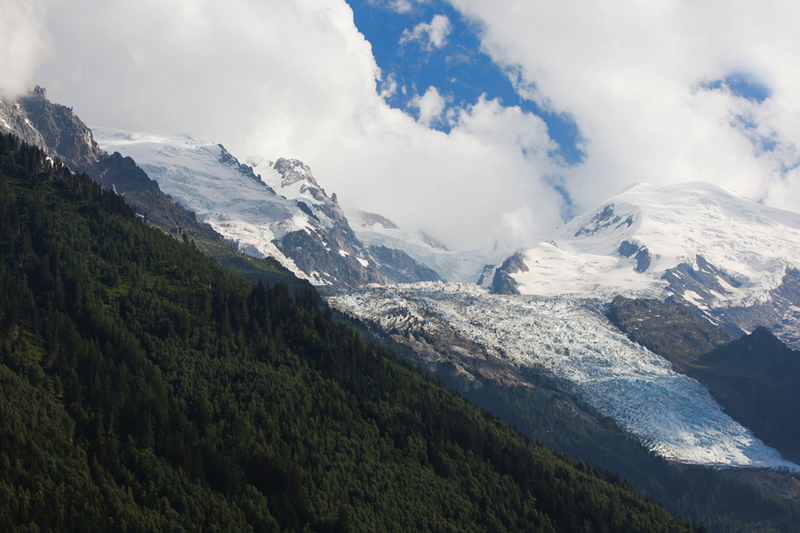 The Glaciorium is an interactive museum which is well worth a visit for better understanding of the birth, life and the future of the glaciers. 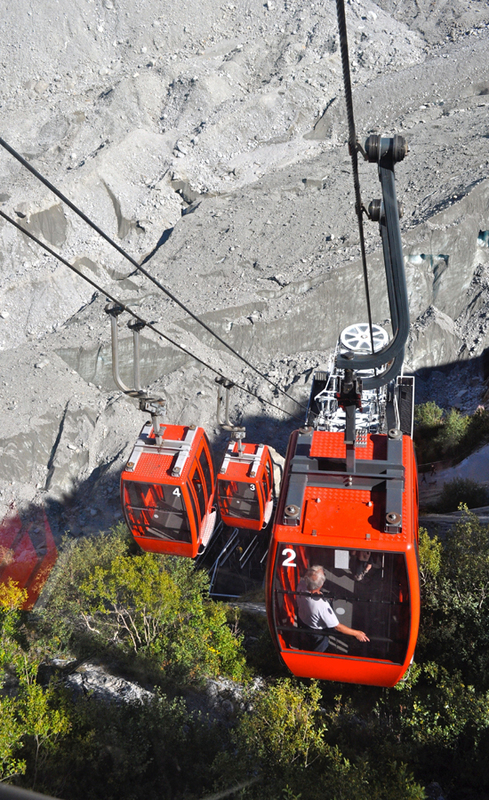 This 20 minute ascent of 1000 metres was well worth a visit and the descent on board of the red cog railway train was equally picturesque with the track running through forests and tunnels cutting through the rock and over viaducts. 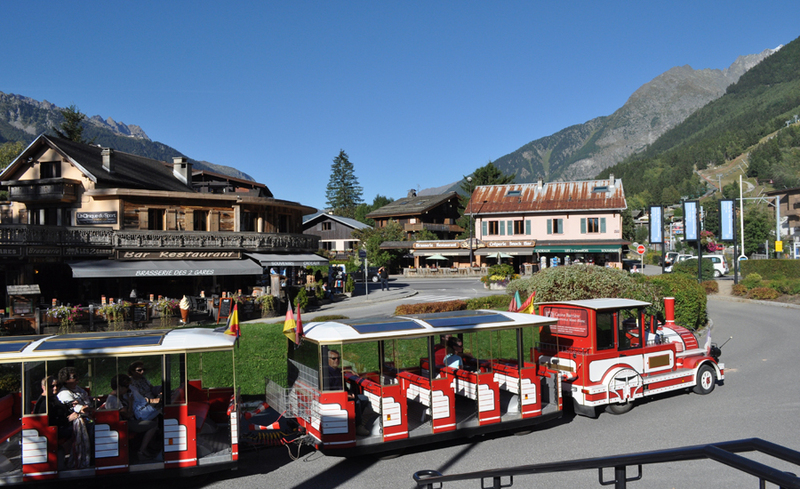 We were back in Chamonix in quick time and we saw the small tourist train passing by , a nice way to discover the city of Chamonix – its monuments, architecture and history. The 35 minutes train ride on the toy train gives you a quick overview of this pretty and picturesque town that is truly an adventurer’s paradise as I further discovered with my next meeting at the Maison de la Montagne which offers a wide range of activities all year round. 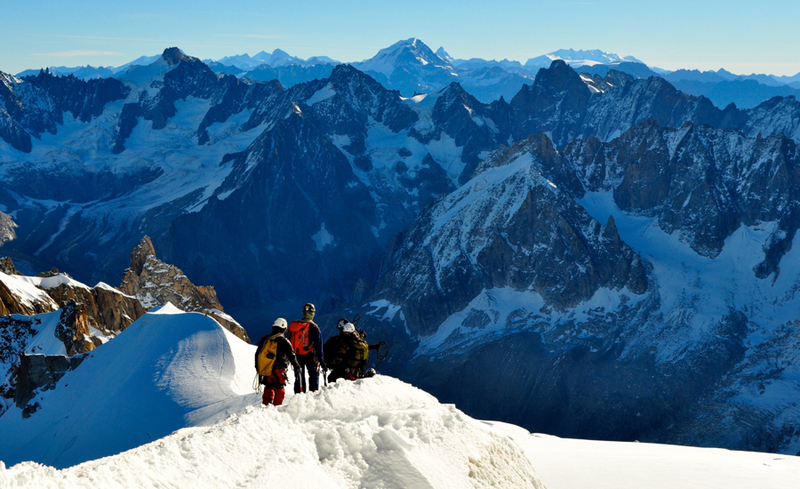 From hiking tours, to nordic walks,from canyoning to rock climbing and via ferrata, from paragliding to hot air ballooning, from helicopter ﬂights to glacier hikes, rafting, hydro speed boat and in winters , skiing in the Vallee Blanche is a must do activity covering 23 kilometres of beautiful off piste, over glacier terrain and is truly known as a life time experience. 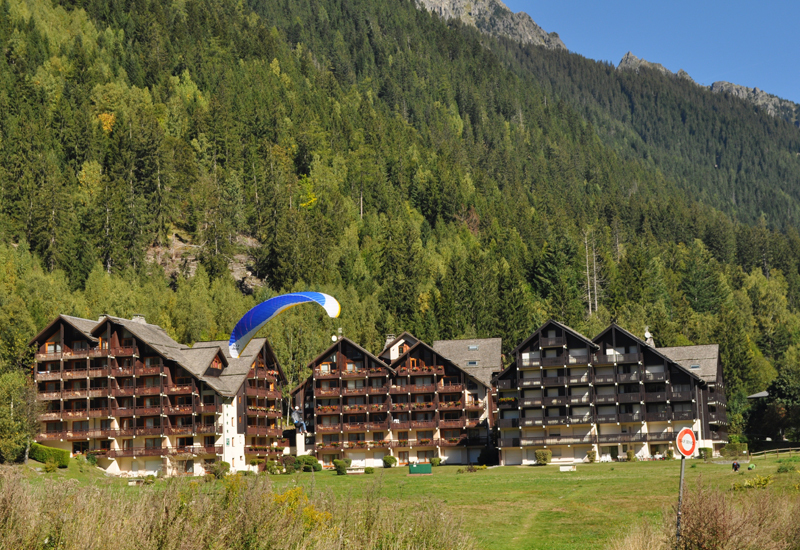 The Chamonix Valley is home to some stunning properties at amazing locations – from 3 star accommodation , to 4 star apartments and residences to ﬁve star hotels and chalets, Chamonix offers a wide selection of accommodation. 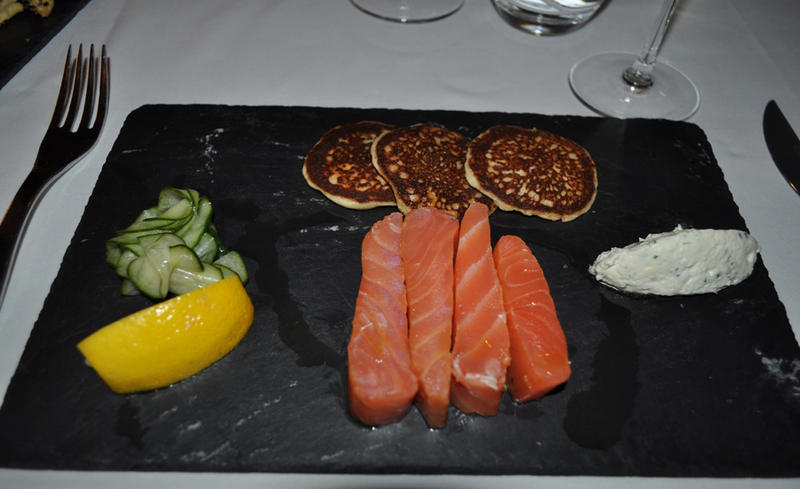 After a couple of sight inspection visits, it was time for me to try some Swiss specialty at La Caleche – one of the ﬁne dining restaurants in the centre of Chamonix. 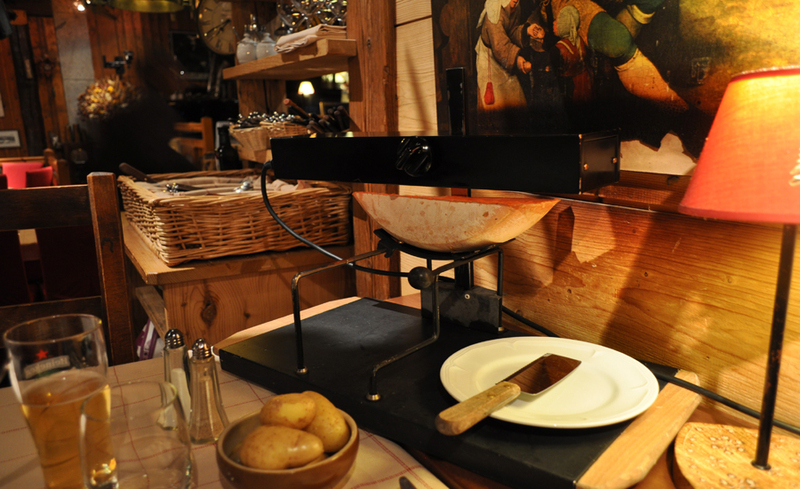 I was advised to try the Raclette – a swiss specialty and the experience was simply extraordinaire. 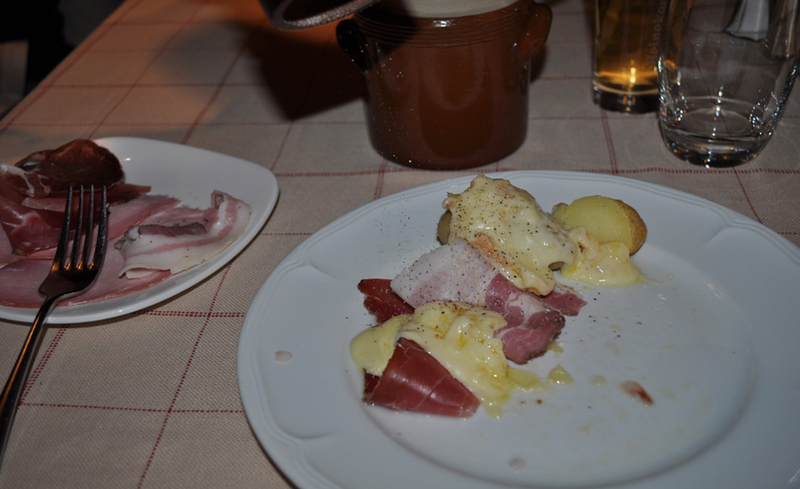 To do justice to the raclette. 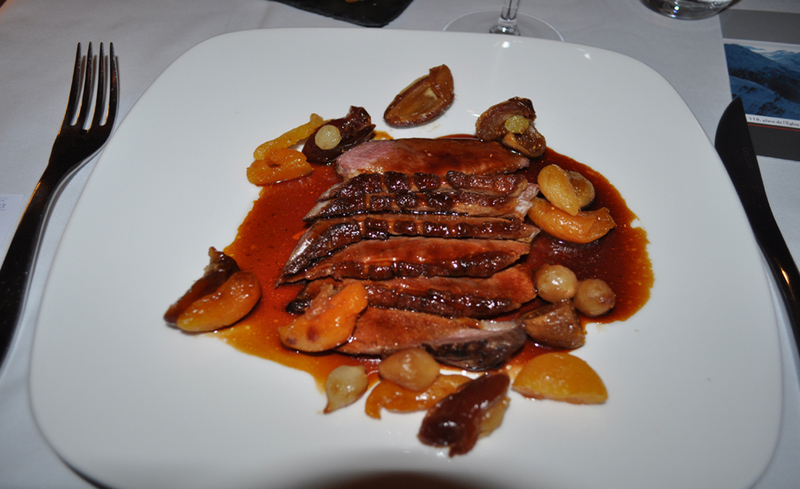 which is molten cheese and served with potatoes and an assortment of charcuterie or meat, it is highly recommended to have two persons to share the same unless you are grossly underweight and wish to put on a few calories very rapidly. 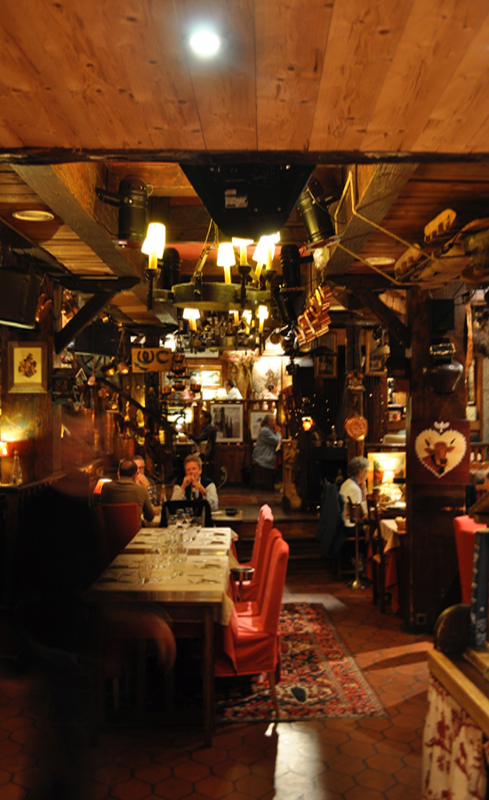 This Savoyard restaurant which is family run since 1946 has a very interesting decor comprising of antiquities straight from grandmothers’ kitchens and takes you back in time into the Chamonix of yesteryears. The ambience is that of a museum where you ﬁnd old skis and bob sleigh suspended from the roof top , ancestral stove, Swiss cuckoo clock and old books recalling stories of the mountains of a bygone era. It has some of the ﬁnest cheese recipes on offer. 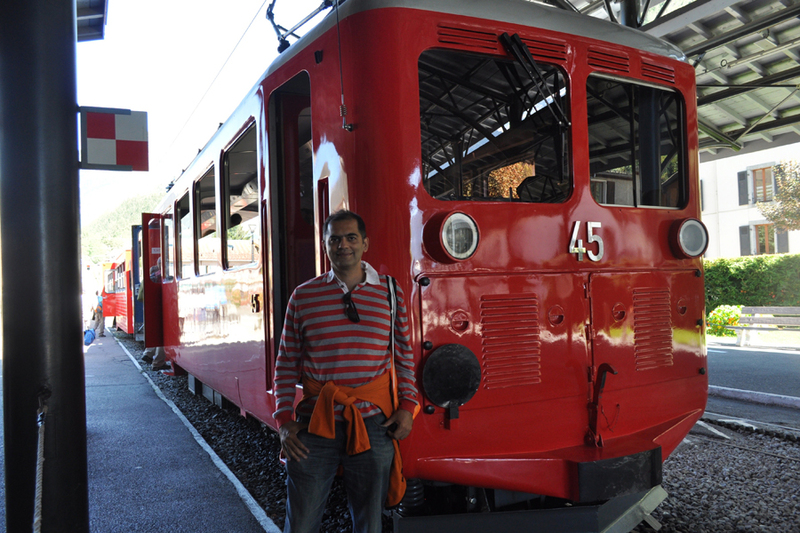 The long day which started in Basel with a transit stop in Geneva with a melange of a train journey, a super car drive experience, a scenic bus transfer to Chamonix, followed by a cog wheel railway with a 1000 metres ascent ended with some ﬁne gourmet cuisine at La Caleche. 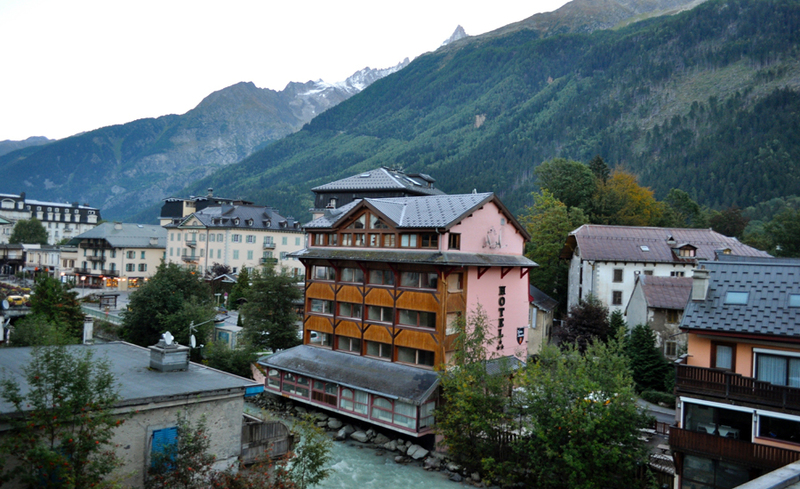 The following morning was an early start and as I looked out of my Montblanc view room, I knew that it was a clear day with the mountain in the horizon , the river ﬂowing below and an ideal day to head to the highest summit accessible by cable car in Europe. 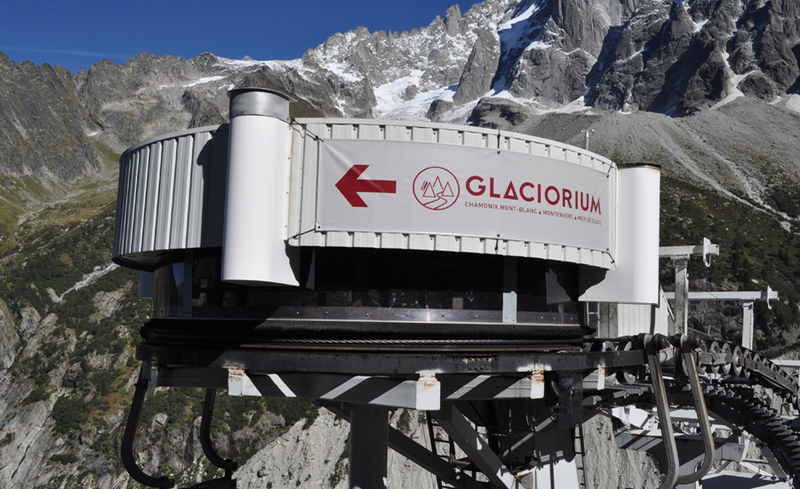 The Aiguille du Midi – the highest cable car trip in Europe heading to an altitude of 3842 metres. I was lucky as the sun was shining brightly and a perfect day to go up the mountain to experience one of the most stunning views of the Alps in Europe. 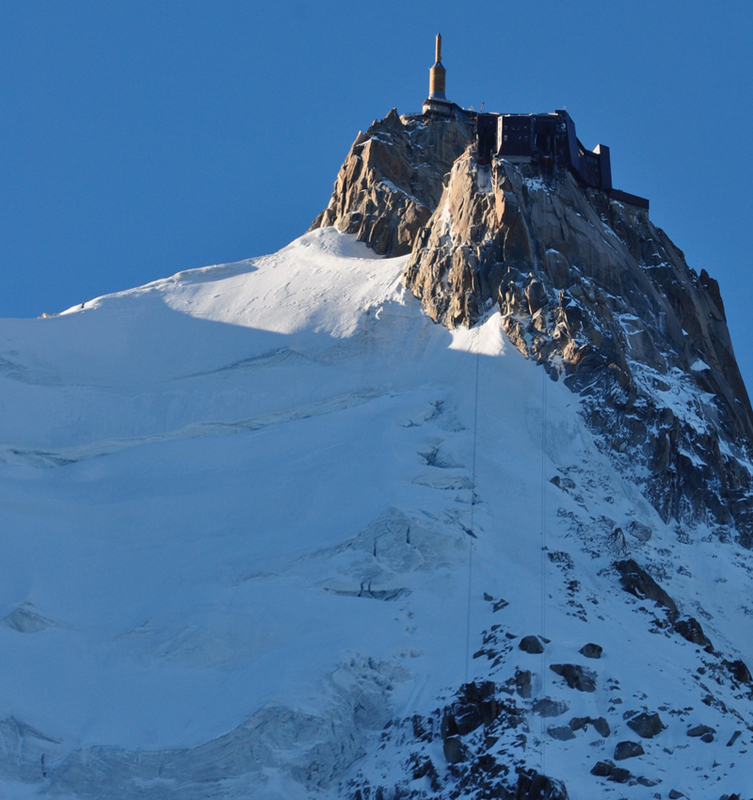 The Aiguille du Midi in mere 20 minutes from the centre of Chamonix takes you to an altitude where you get sweeping 360 degree views of the French, Swiss and Italian Alps and the highlight undoubtedly is the majestic Mont blanc. 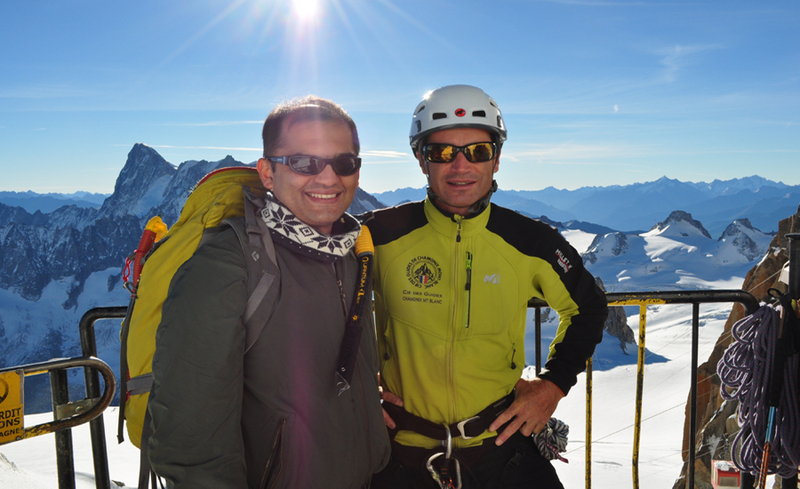 The day was so clear that even pictures would not do justice to the stunning views experienced from Aiguille du Midi. In our cable car, there was a large contingent of snow climbers . Every year the summit of Mont Blanc becomes the ultimate objective for mountaineers the world over, all striving to stand on top of the roof of Europe and look down on all of the major summits of the Alps. 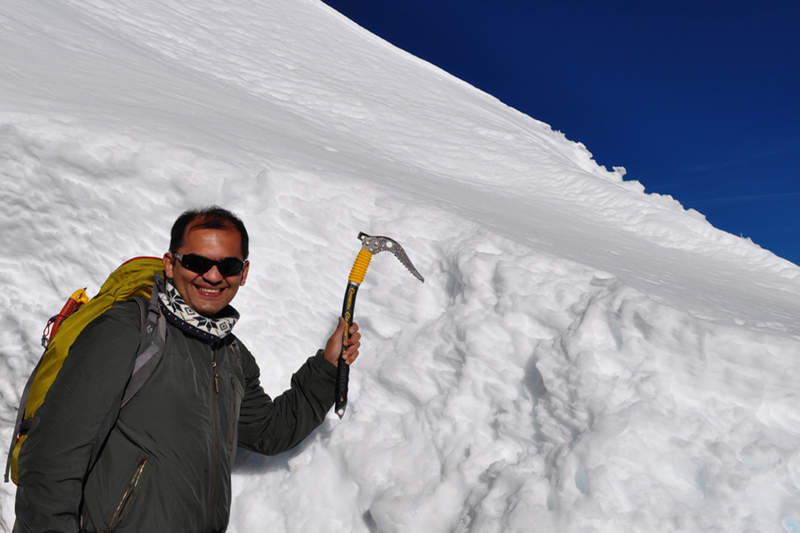 To climb Mont Blanc from Chamonix, the route from the Aiguille du Midi, over Mont Blanc du Tacul and Mont Maudit is generally easier although it requires a high level of physical ﬁtness and experience using crampons and an ice axe. 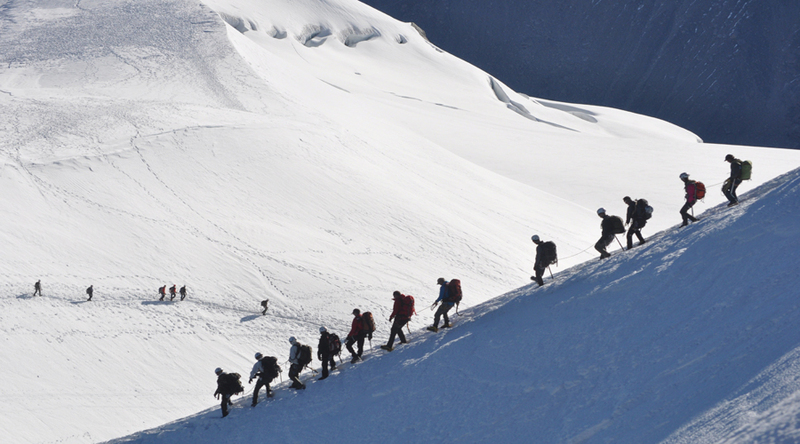 Avid climbers can cross from France into Italy across the mountain range. 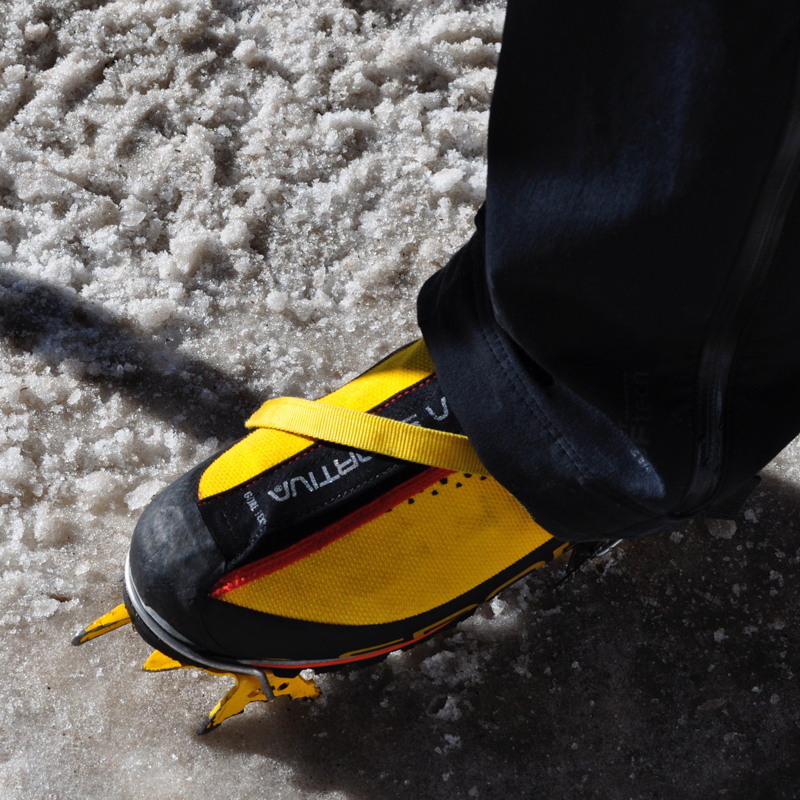 Unfortunately, I did not have any crampons ﬁtted to my shoes so I could not attempt the same. However, I was lucky enough to get the panoramic view of three countries and the clear visibility enabled me to see as far as Matterhorn in Switzerland. Well, there was some adventure in store for me as the next activity list post my marathon was to do tandem paragliding with Sandie Cochepain – the world paragliding champion 1997, European Champion FAI 1998, World Champion PWCA 1999 and four times champion of France from 1995 until 2001; it doesn’t get safer and bigger than this. Seeing Sandie’s poise and composer whilst she briefed me on the steps to be taken to gain momentum and ﬂight running downhill from the mountain keeping in mind the position of the wind, gave me the assurance that this would not be as complex as some of the extreme adventure activities that I had undertaken in the past , not as extreme as a bungee jump or a skydive from 12000 feet. 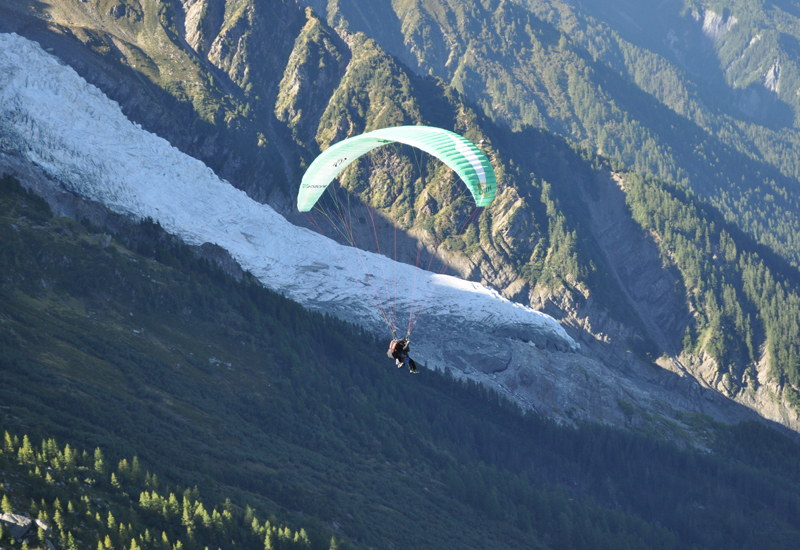 And there I was all set to jump off a mountain entirely leaving the judgment to the world champion para glider who would push me off the edge in one of the most scenic locations to paraglide and possibly do some piloting whilst suspended at over 2000 metres above ground level. 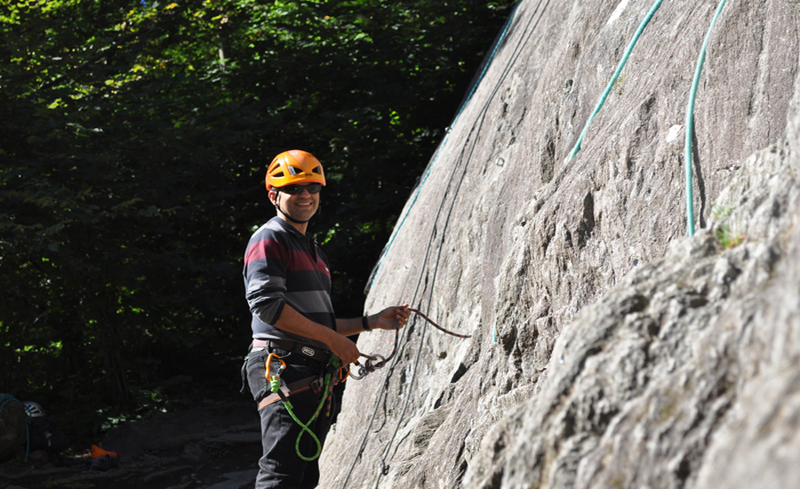 After a quick lunch comprising of crepes served warm in an open terrace in Gaillands, it was time to do some rock climbing with Jean Marie who has been a rock climbing instructor for a very long time in Chamonix. The sun was beating down , it was almost 25 degrees celsius . 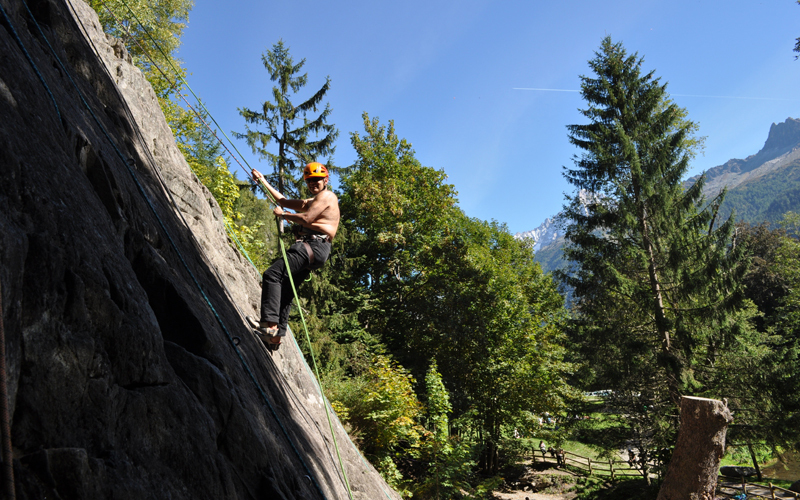 I was forced to take my shirt off whilst rock climbing and it was incredible to note that just a couple of weeks earlier, it snowed heavily in Chamonix and now I was enjoying the best of summer in September. 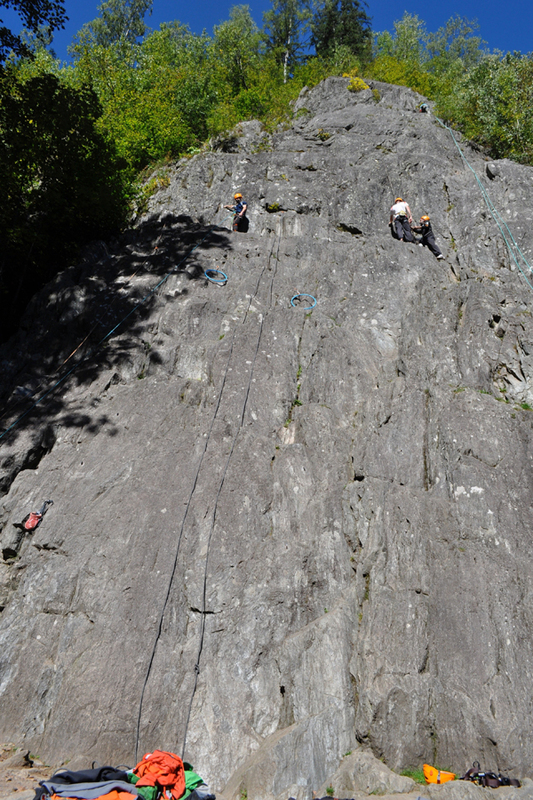 The Gailland rocks located just 2 kilometres south of Chamonix offers a wide range of climbs and granite climbers from world over come here to experience conquering the rock faces – it is here that the ﬁrst ofﬁcial climbing school was founded way back in 1936. You need special shoes to get the grip on the granite rock and you are tied to a harness and you have to make your way up the granite stones to ensure that you get the right grip as you ascend.The experience is truly exhilarating and one has to stay focus to ensure that the grip is proper and the foot ﬁts into the slots that take you up from one level to another. 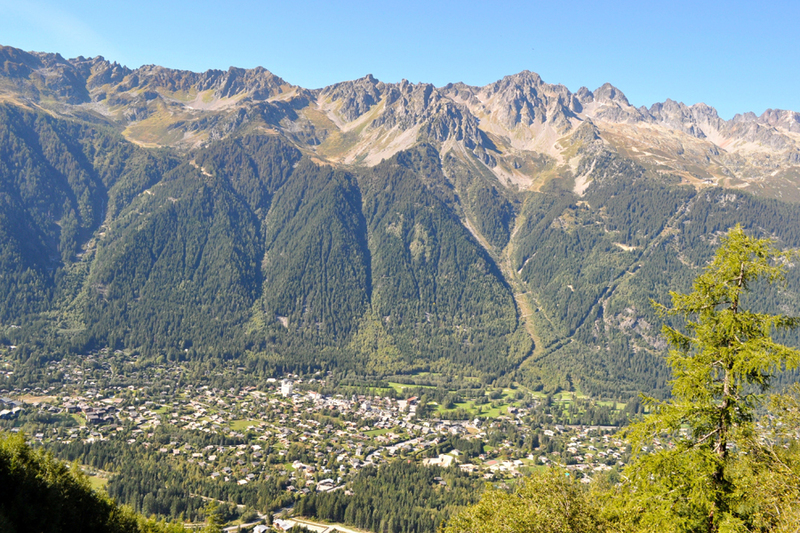 Day 2 in Chamonix was ﬁlled with adventure and it was time to enjoy a sumptuous meal at Cape Horn before heading the following morning to Les Houches – a 10 minute drive from Chamonix and to see a very unique Park , the Parc de Merlet. Les Houches which is part of the Chamonix Valley is situated at an altitude of 1000 meres and lies at the foot of Mont Blanc. Les Houches offers exceptional panoramic viwes of the peaks surrounding Chamonix and for those who want to experience Vino Therapy Spa , Les Houches is also one of the three locations in France which houses the Caudalie Spa – one of the three vino therapy spas in France , the other two are in Bordeauxand Versailles respectively. 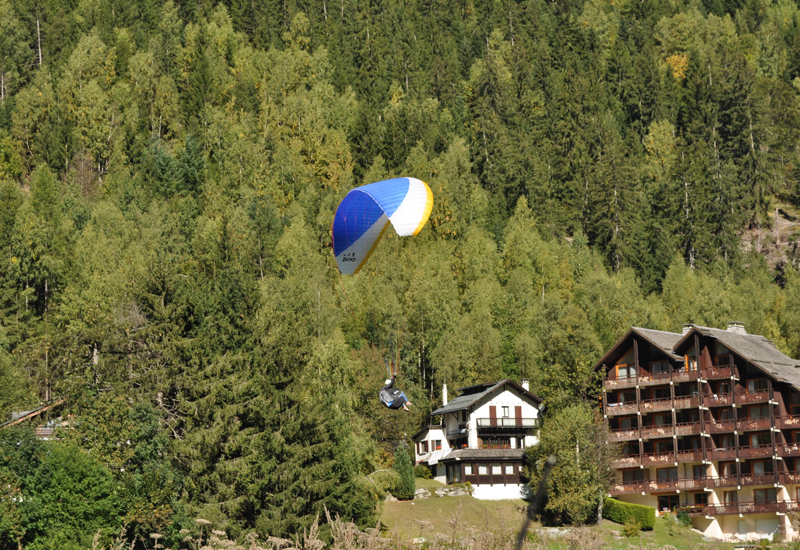 Les Houches has a very laid back atmosphere and for those who enjoy lively nightlife, Chamonix is a better place to stay. 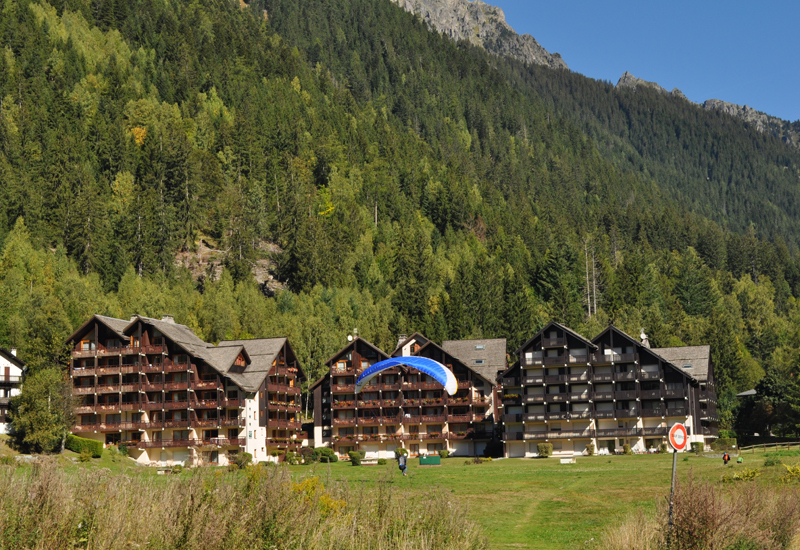 The village of Les Houches is made of hamlets, chapels, farms and is suited for families who want to enjoy a tranquil environment after spending the day skiing in one the pistes of the Chamonix Valley. On reaching Les Houches, we made our way to the Parc Merlet after having inspected a few properties. 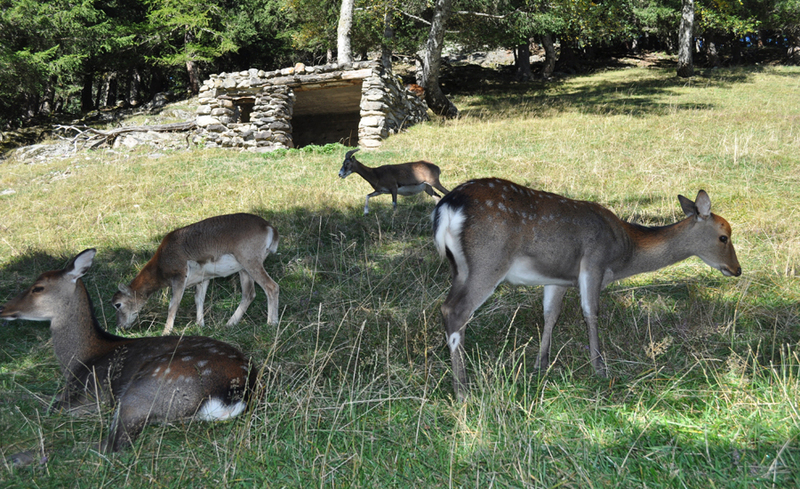 Occupying a former Alpine meadow with an amazing balcony view of the Mont Blanc massif, this park is home to 8 species of Alpine animals that roam in semi- freedom. 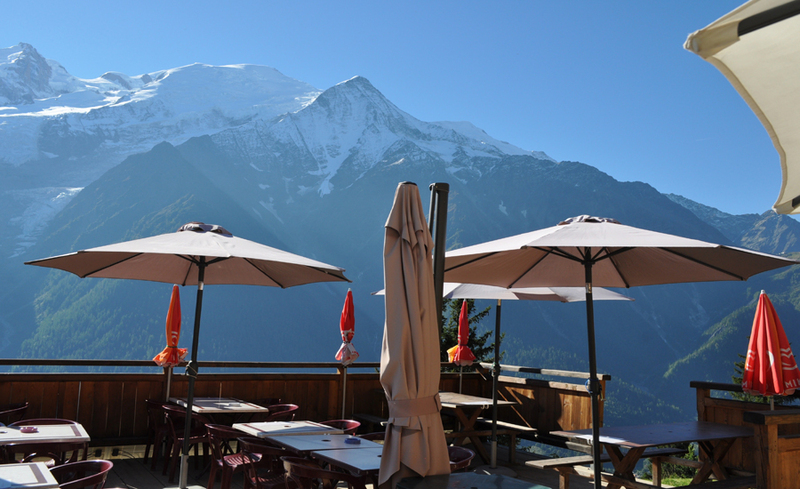 A former pasture perched over 1500 metres above the village of Les Houches, Merlet offers one of the most stunning views of Mont Blanc. 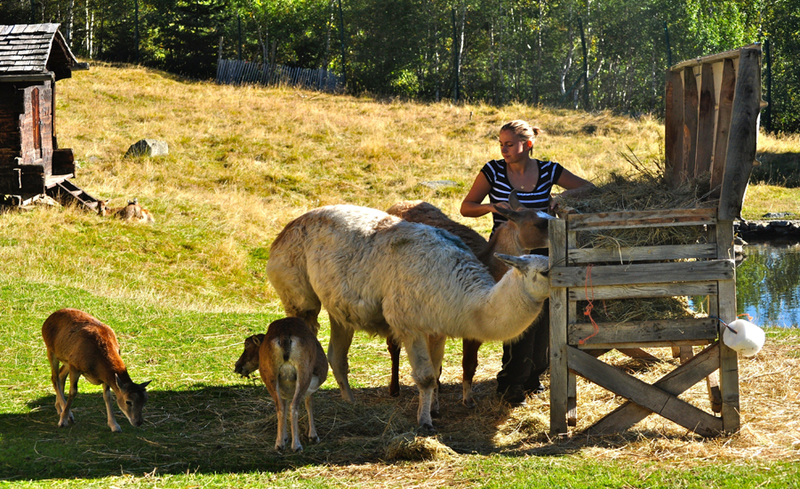 This 21 hectare area comprising of meadows, cliffs and spruce forest is home to unique alpine animals such as the chamois, ibex, bighorn sheep, marmots as well as deer and the llama who freely move throughout the area. It is a nice place to spend a couple of hours, have a coffee or a drink in the bar terrace and those who are supremely ﬁt, instead of driving up toParc Merlet can do a short hike of about two hours to get to the park. The park is open only from May until September in summer and on prior request and reservation, it can also be visited between December and March in winter time. 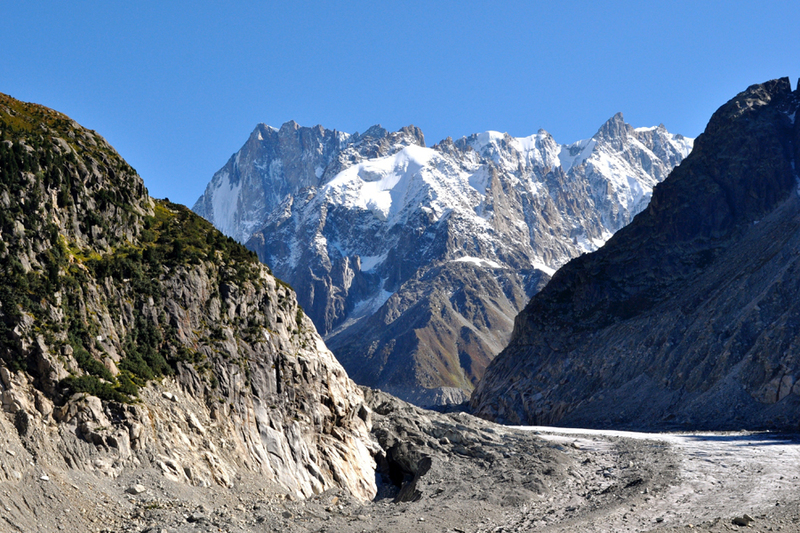 This unique park is indeed a mountain of secret and should be on your must visit list when in the Chamonix Valley. 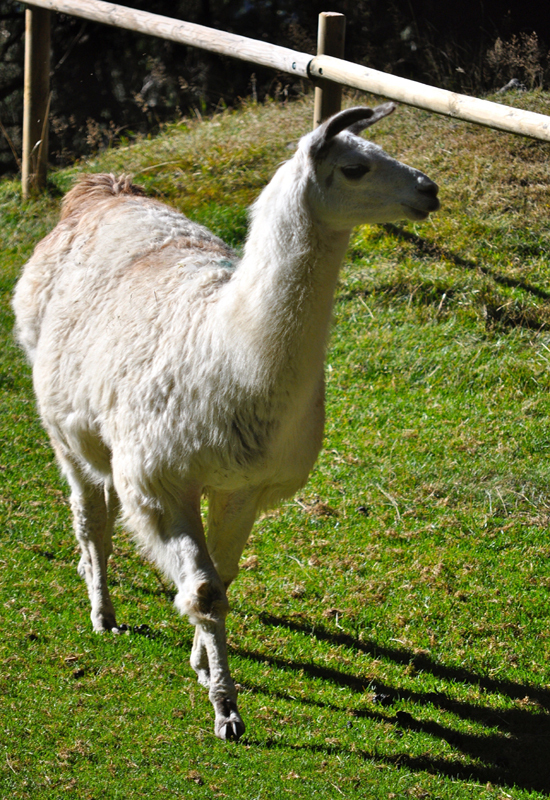 It is important however to stay on the walking trails and be calm and quiet and respect the space that has been created for these amazing alpine creatures. It was time to head back to Chamonix and before taking my train back to Geneva, I wanted to get a last glimpse of this wonderful town and what better way than taking a short ride on an e-bike. 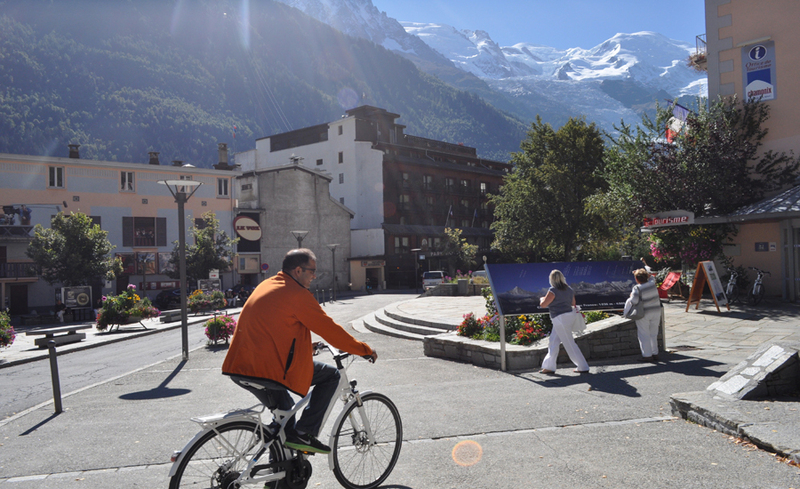 Yes, you can hire e-bikes in Chamonix and climb mountain slopes on your bicycle quite effortlessly. What makes the town is the people and the hospitality extended in Chamonix was simply exceptional. If Basel was one of the best towns worth visiting, Chamonix was the icing on the cake.Next time whenever you plan a trip to France, Switzerland or Italy, take a Chamonix break and our team of experiential travel advisors at Luxury Vignettes OR Namaste Tourism can plan a WOW Chamonix Experience for you. 3/35, Kamal Mansion, Arthur Bunder Road, Colaba, Mumbai, 400005, India.